You’ve found out the price per person at your chosen reception venue, and it’s just plain too high. Don’t worry (and don’t overspend) — negotiate. But some brides are shy or they think this is tacky. “Uh-uh,” says Sexton. “In a tough economic climate, vendors expect it. Be honest about your budget, and ask, ‘What can you do for me with this amount?’ Or ask, ‘I see this is your lowest package price. Can you do a little better?’ ” If you are willing to play with days (a Friday or Sunday, say), times of day or seasons, you can work out a better deal. Still unconvinced that you should speak up? “The worst they can do is say no,” reasons Walls. And even if negotiating doesn’t get you a drastic cost reduction, you may get some extras thrown in (like trays of cookies for the tables, or top-shelf liquor for the price of generic brands). Remember: Wedding reception vendors want your business as much as you want a nice wedding. 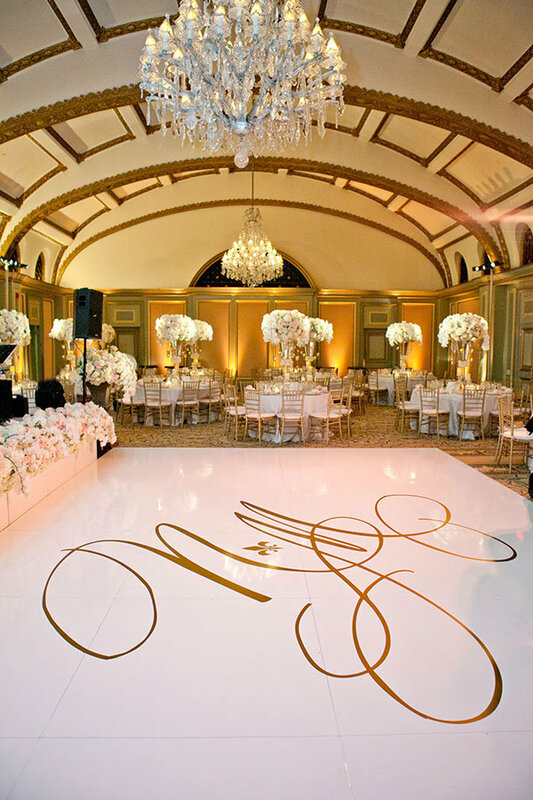 On an unlimited budget, specialty linens add sparkle and a special touch. 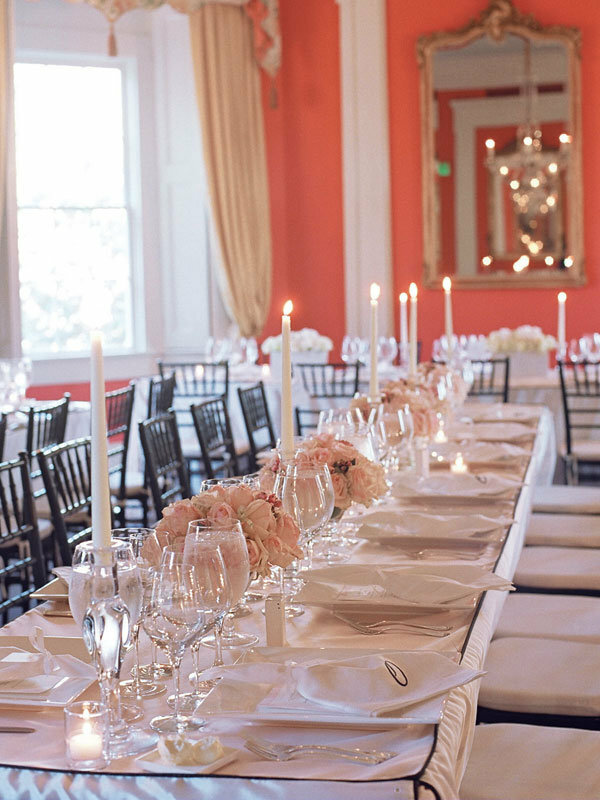 But the standard white or off-white table coverings included at most reception sites have kept their classic good looks! Perk up the tables with napkins tied with ribbons or rent stylish napkin rings. Focus your energy, your worries and your money on your dress — not your wedding shoes, advises Levine. “Why spend hundreds of dollars on footwear you’ll wear for a single day? 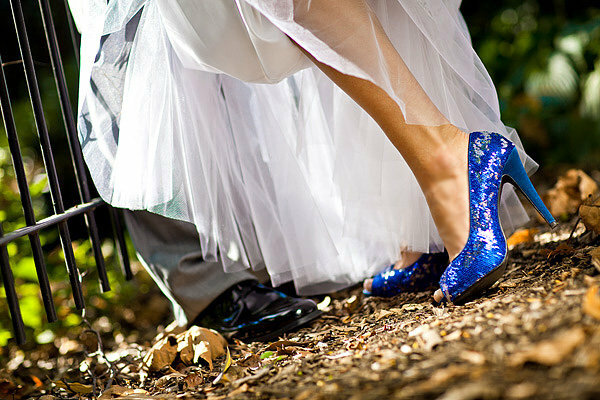 Seriously — if you have a gorgeous gown, an amazing hairstyle and a flawless face, no one is going to be examining what’s going on below your ankles.” Find inexpensive (but comfortable) wedding shoes that complement your bridal gown, and leave it at that.